George R.R. Martin thinks we could see even more Game of Thrones spinoffs. Last week’s news of Jane Goldman’s Game of Thrones prequel pilot may not be the end of HBO’s spinoff plans. Of course, we’ve known for some time that HBO was considering five possible prequels to continue, and expand, the Game of Thrones universe—but we still have no idea just how many will pan out. Goldman’s show getting a pilot suggests four remain, and on his blog, A Song of Ice and Fire creator George R.R. Martin provided an update on the rest. Martin said that one of the ideas has been rejected—but that the three that remain could still happen, even though Goldman’s is moving ahead first. Martin said he’s been consulting with most of the people involved with those shows and some have even come to visit him to discuss the ideas. 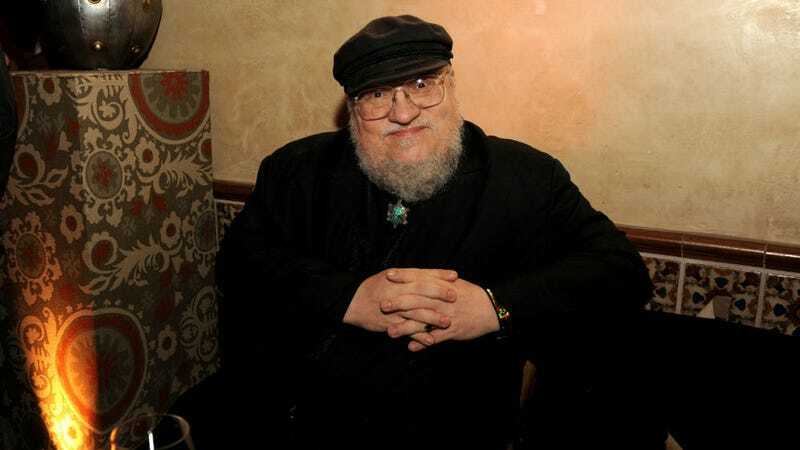 However, he says he won’t be writing on any of them because he’s still working on the next book in the series, The Winds of Winter. The writer was working on a Thrones project with producer/writer Bryan Cogman previously. Could this mean the idea that was scrapped was his? The eighth and final season of Game of Thrones will air in 2019.